The Penguin History of Europe series reaches the twentieth century with acclaimed scholar Ian Kershaw’s long-anticipated analysis of the pivotal years of World War I and World War II. 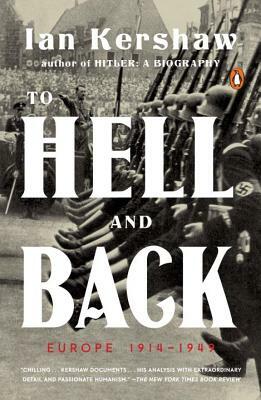 Incisive, brilliantly written, and filled with penetrating insights, To Hell and Back offers an indispensable study of a period in European history whose effects are still being felt today. Ian Kershaw, author of To Hell and Back, The End, Fateful Choices, and Making Friends with Hitler, is a British historian of twentieth-century Germany noted for his monumental biographies of Adolf Hitler. In 2002 he received his knighthood for Services to History. He is a Fellow of the British Academy, of the Royal Historical Society, of the Wissenschaftskolleg zu Berlin, and of the Alexander von Humboldt-Stiftung in Bonn.